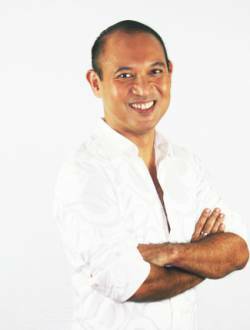 Born in 1966 in Manila, Raymond had a conservative Catholic upbringing. Sensing he was gay, he hid in the proverbial closet and successfully managed a normal life, eventually becoming a trial lawyer. Confronting his repressed homosexuality in his 30s led him to a self-imposed exile in Cambodia in 2001, where he has worked for the last ten years. With the release of his first book, Of God and Men, about his coming out as an openly gay man, Raymond is returning to his native Philippines to help in the campaign for equality for all LGBT people.